This time of year the Campania countryside is a beautiful yellow! Everywhere you look is full of Friarielli, the typical broccoli rabe of Campania. After the Friarielli are harvested, their plants flower in a brilliant yellow. We were so happy to be on Maida farm just a week after the Friarielli harvest. We actually got to stay on the farm. Every morning we woke up to this gorgeous rooster and Anna Maria Vastola was always cooking something delicious on the stove. It was a wonderful way for Maida and Gustiamo to celebrate 14 years of working together. Watch the video above. It is Francesco talking about his Friarielli. 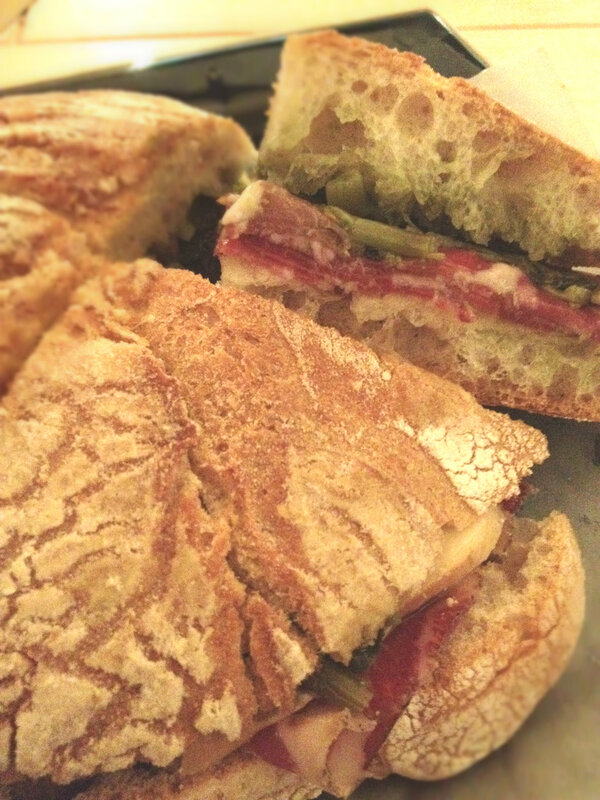 As he mentions, the night before he took us to Puteca, in Nocera, for amazing sandwiches. We drove almost an hour to get to this place! But it was worth it. This one on the below knocked our socks off, we are definitely planning to make it back in NYC with Francesco’s Friarielli. 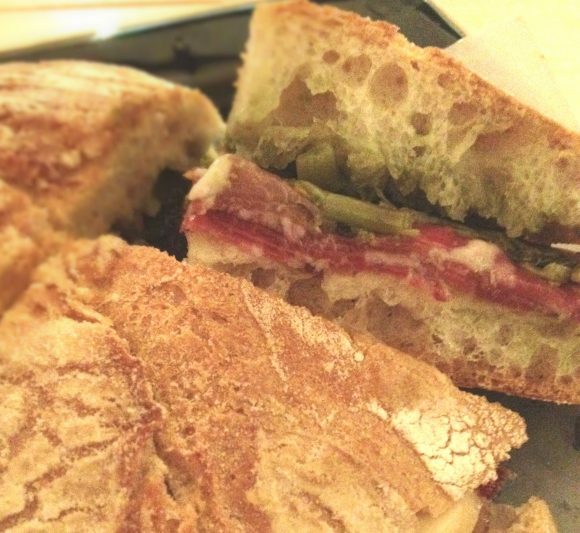 The Friarielli’s bitterness and spice are a perfect combination with cured meat and smoked cheese. We were even joined by Marco Contrusi, the local Slow Food Chapter president; and he agreed, Friarielli stole the show!